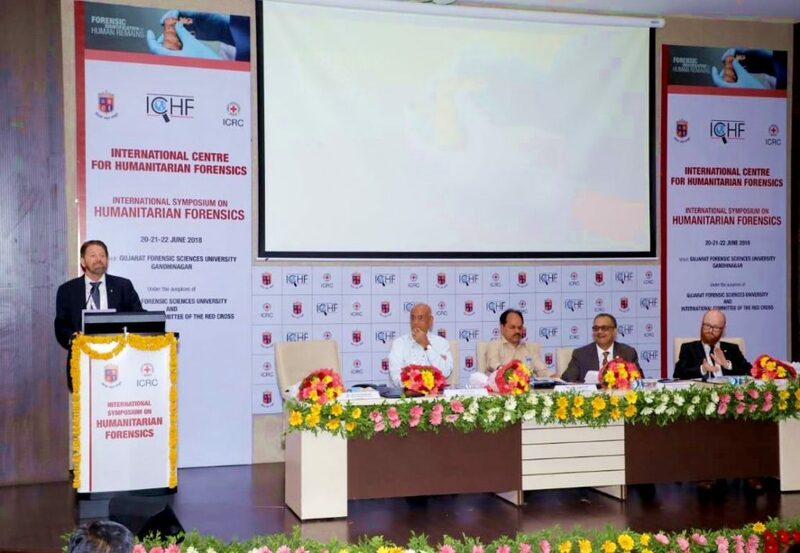 The world’s first International Centre for Humanitarian Forensics (ICHF) was launched on 20 June 2018 in Gujarat, India by the Gujarat Forensic Sciences University (GFSU) in collaboration with the International Committee of the Red Cross (ICRC) Regional Delegation for India, Bhutan, Nepal and the Maldives. ICHF is the first definitive effort at institutionalising humanitarian forensic action within an existing university system. The Centre will conduct various academic and professional programmes, training, research and provide technical expertise to support operations (together with authorities and agencies concerned) in the field of humanitarian forensics. It is envisioned to be the one-stop centre of excellence in Asia for global high quality and sustainable capacity building, research and innovative projects that will underpin operational responses for humanitarian forensic purposes in relevant contexts. “The world’s first International Centre for Humanitarian Forensics in Gujarat demonstrates India’s determination to use its technology and talent to serve people at home and around the world. This joint project represents what humanitarian work will look like in future. It combines local and international expertise to build capacities before tragedies hit people,” said Jeremy England, Head of the Regional Delegation, ICRC New Delhi. 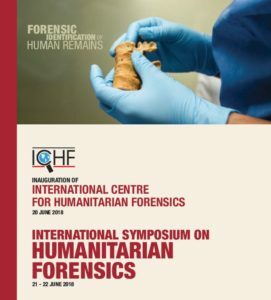 The ICHF will also posit sociocultural realities in the application of forensic sciences to the humanitarian sphere and through evidence based premises, clearly define acceptable practices in a given context with high premium on respect for the local population, jurisdictional authorities, and appropriate ethical considerations. 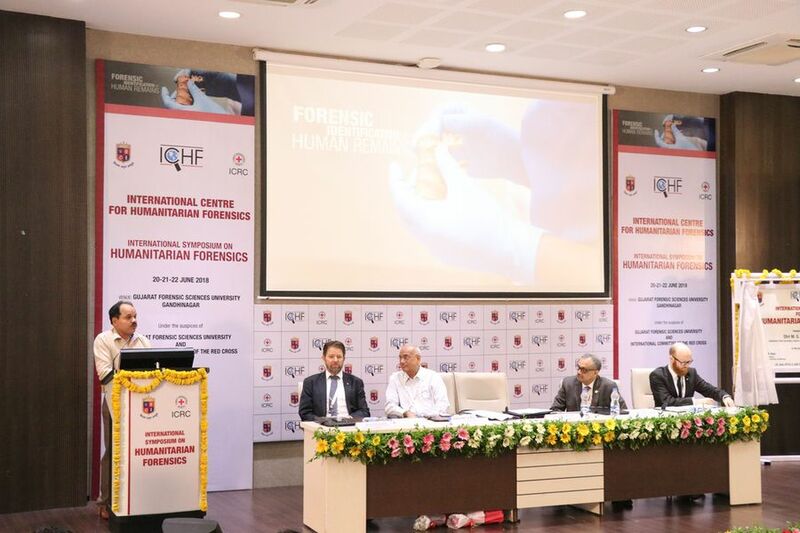 The launch event also kicked off an International Symposium on Humanitarian Forensics 21-22 June, 2018, bringing together international forensic science experts from Australia, Switzerland, Ireland, Germany, Sri Lanka and India to discuss issues and best practices in the area of humanitarian forensics. Representatives from the medical field, civil society, academia, development and humanitarian sector as well as disaster management professionals shared expertise in the field of humanitarian forensics.